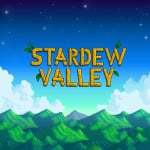 Stardew Valley has sold tremendously well across all platforms including the Nintendo Switch. On the eShop it continues to be one of the most popular titles to download. If you've been eager to join a friend for some multiplayer action in the Switch version of Stardew, the game's publisher Chucklefish has revealed it's one step closer to release. Following the news in October that this component of the game was in the bug testing and crash stages, it's now been confirmed the title has been submitted for the final approval. At this point, it will either be out before the end of this year or early on in 2019. As we've previously explained, multiplayer in Stardew Valley allows three people to work alongside you on your farm. Other players can participate in most activities and each person has their own cabin they can rest in. There's even an option to marry other players. For more information about this update, be sure to check out the official website notes and view the trailer above. Do you own Stardew Valley on the Nintendo Switch? Have you been anticipating this multiplayer update? Tell us in the comments. This isn’t cross-play, right? That would just seem too good to be true. Interesting to see this news as I am playing the game right now. On my second farm. Anyone know if this also means local mp? Spent more than 130h playing SV but not much interested in this update. Fantastic game though. But without local it does nothing for me. I spent over a hundred hours on this game and then just lost interest,this is a s good a reason as any to get back into it.Maybe I can find someone to help me make my farm look decent lol. @mgnoodle Thanks, I have a lot of friends that play it on Steam, so it’s great to know that we can cooperate now instead of having to play separately. Hey, guys, I've been looking at this game for a while. Do any of you know the cheapest price it has gone down to since it launched on Switch? If it's not crossplay, don't think I would get any use. My cousin has Stardew Valley on Switch, but barely plays it. Was hoping to play with my brother who has it on PC. Kind of surprised the article does not also mention that Concerned Ape is parting ways with Chucklefish as a publisher, with the exception of Switch and the mobile platform. I've been waiting for this update to jump in. Why is there no physical release of this game??? - Such an awesome game. I’d buy this game a second time and at a premium just so I can see a case. ...Same for Enter the Gungeon. ...Actually I just received the SV soundtrack on cd in the mail today. So good. That was nearly two years ago. The game has been out for over a year now. Ohhhhh PLEASE hurry!! Need a new challenge and what a GREAT CHRISTMAS gift this would be!! Yay!! Thanks for keeping us in the loop!!! Do I need Nintendo Switch Online to play co-op mode? I'd love to play this game and new feature....but I'm still holding out on that probable physical release some day!